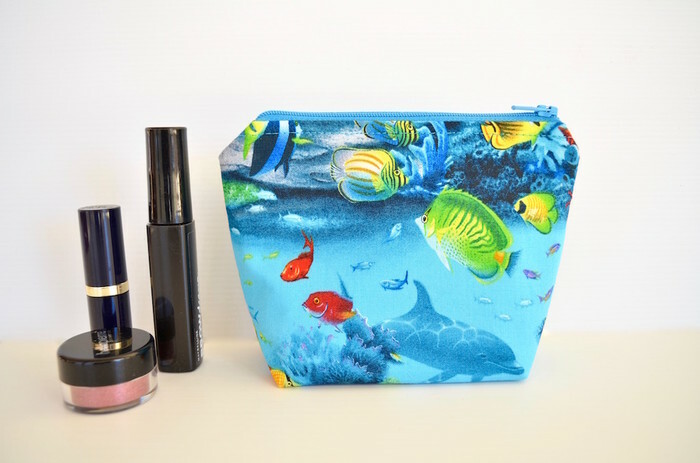 This incredibly vivid little cosmetic bag is for the lovers of sea life. Dolphin, clown and angel fish, starfish and lots of other creatures all swimming amongst the coral reef make an absolutely beautiful picture. 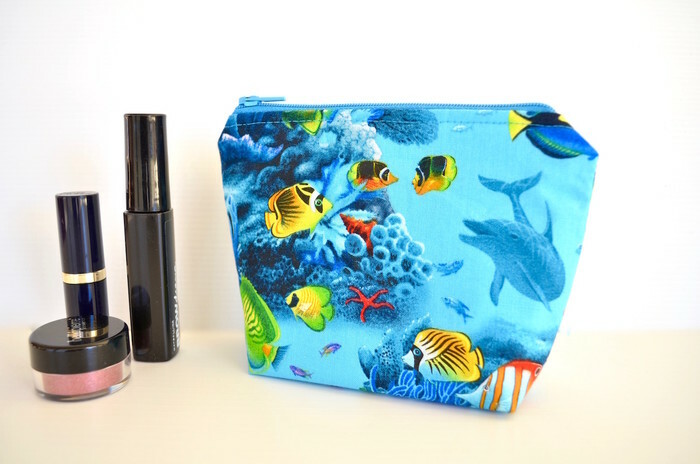 This make up bag is made with cotton fabric inside and out. 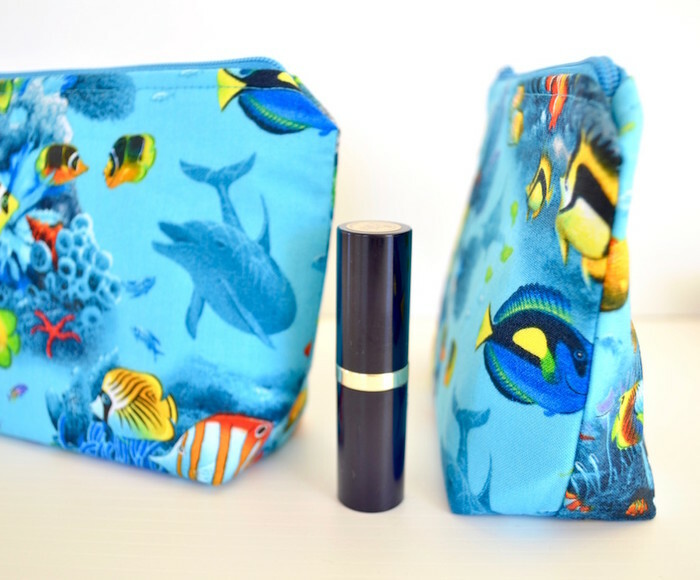 Stabilised with heavy weight interfacing for strength and form and closes with a zip. 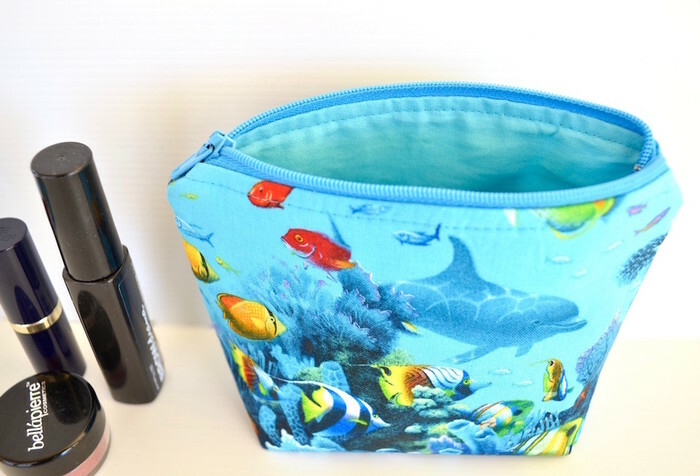 This bag can be hand washed or gently machine washed. 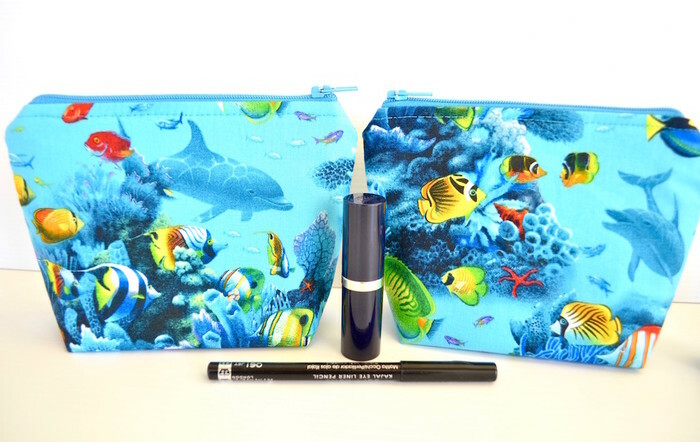 PLEASE NOTE Your bag may not look exactly as the one pictured due to the pattern design on the fabric. 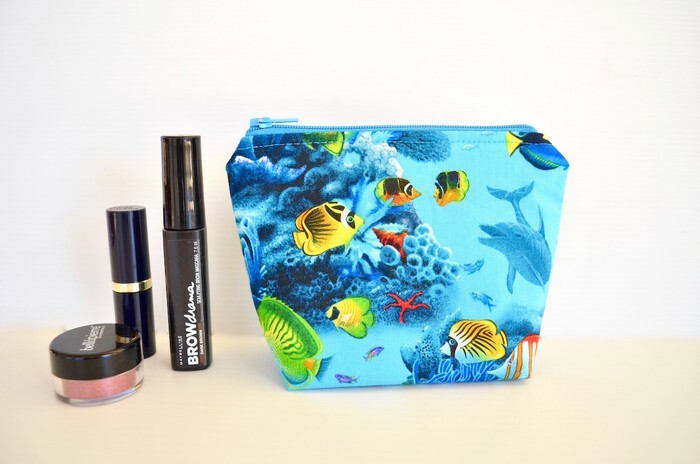 Make up is not included.